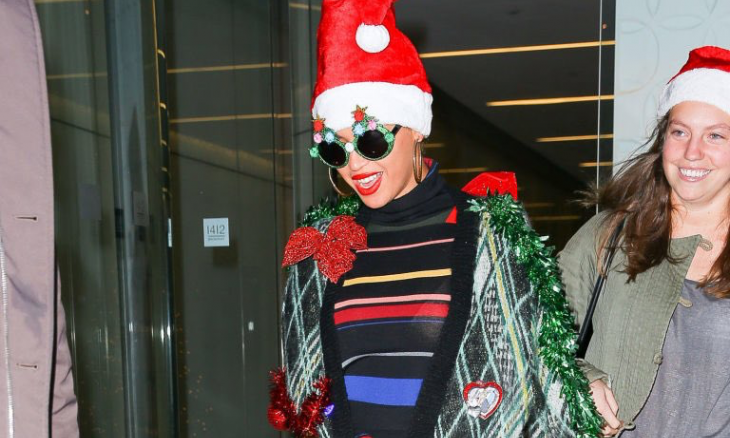 Beyoncé dressed as a Christmas tree. Photo: Twitter/@YonceLocals. The holidays are filled with hand-crafted memories, cinnamon wafting through the air, and wood snapping and popping in the fireplace. As much as we love the holidays, it seems it’s impossible to recreate all the warm memories we have from our own childhoods. Media is literally everywhere, and our children have grown up being bombarded by what’s trending and hot. The holidays are the best time for marketers to target consumers and children are especially vulnerable. Our parenting advice will help you make it through the holidays with the best memories for your whole family. Cupid’s parenting advice can protect your children from holiday commercialism! 1. Limit commercials: One of the quickest ways to nix commercialism in your kids is to entertain them during commercials. Avoiding those bombastic sellers will help keep your kids clear of any unnecessary buys they may think they want. Find interesting ways to entertain your children during commercials. Tell a holiday story, share an interesting thing about your day, play a game of Monopoly, or decorate an ornament. 2. Share the budget: Ok, don’t tell them all about your budget, but children learn about money from the example you set. If you buy numerous exorbitant gifts, all you’re teaching your children is excess spending and you are setting the expectation for more spending. Show them how you budget holiday gifts and why it’s important, teaching them a valuable lesson about money and the significance of sincere gift-giving. 3. Explain the meaning: No matter your spirituality, every winter holiday has some meaning behind it. Sharing this with your children will explain why the holidays are important and create deeper meaning for the season. Explaining the significance will combat the materialism of society. 4. Holiday activities: The holidays are traditionally about spending time with family and doing crafts and activities with them. As stereotypical as some of those activities may be, your children will love doing them. Make a gingerbread house, giving your kids free reign to decorate the house how they want. Make cookies, go on a sleigh ride, or have a hot chocolate bar. Your children will remember these moments more than the gifts they are likely to toss by next year. Watch Mariah Carey celebrate in full-festive style with her daughter for some inspiration! 5. Recreate traditions: Children look up to their parents. Of course, they seem to outgrow this as soon as hormones hit, but the holidays have a sort of magic that makes everyone go back to being a kid. Share your favorite tradition with your kids and recreate it. Make popcorn ribbons for the tree, make a beaded angel ornament, find the best real tree rather than a store-bought plastic one. Sharing your past joys with your kids will help create new traditions and they will love you for the genuine moments spent together. Beyonce and Jay-Z create their own traditions but never hesitate to share with their kids. What parenting advice do you have for combating the commercial beast? Share your ideas below!